Have you changed your clutch lever recently? …. I think you may have got it? The OP possibly just bought and fitted unsuitable gen 1 (unless modified) alloy levers from a 2013. FYI the gen 2 bike with cruise control has a slightly different clutch lever that operates a microswitch linked into the cruise circuit. No idea why but a known side effect is loss of fuel guage reading. I 'm sure someone a while back described how to modify the earlier lever to work (search?) or maybe sell them on and look to get correct set of levers. Pleny here who are very happy with cheap Chinese levers from ebay, etc., again search is your friend. I fell foul of that, ISTR it was K1W1 who put me right on that. You can get suitable levers on That Ebay for notalot. 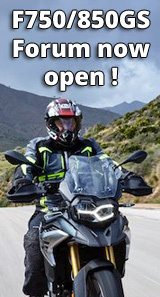 Just search for "triumph tiger 800 levers 2015" for a huge assortment.